Abu Dhabi: The Cabinet on Tuesday approved a slew of legislations, policies and initiatives to enhance the leading role of women in our society, and raise the rates of their participation and representation in all areas, locally, regionally and internationally. 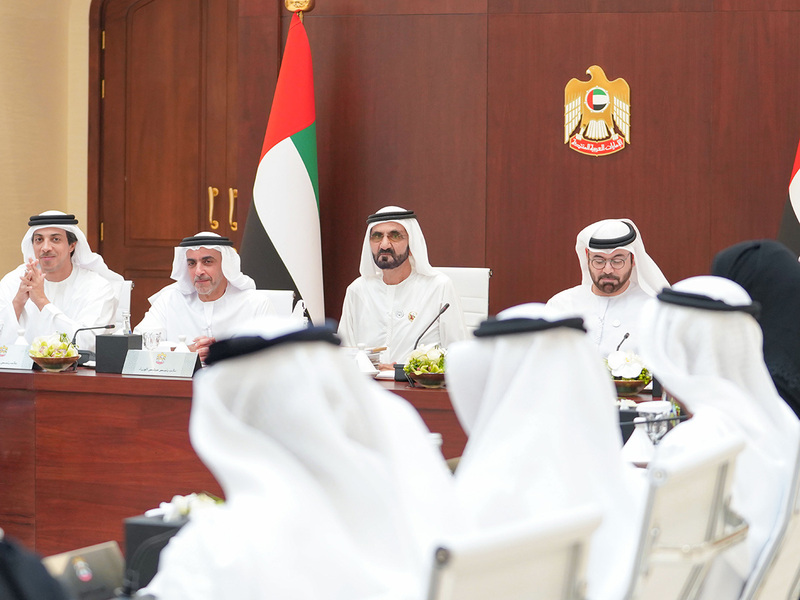 At a special session held at the headquarters of the General Women’s Union, chaired by His Highness Shaikh Mohammad Bin Rashid Al Maktoum, Vice-President and Prime Minister of the UAE and Ruler of Dubai, the Cabinet adopted a new package of national legislation, policies and initiatives for Emirati women. The new package is based on three main theses: legislation and policies; services and international representation. It includes policies, legislation and initiatives that support the advancement of women as an active partner in society and a cornerstone of its success. 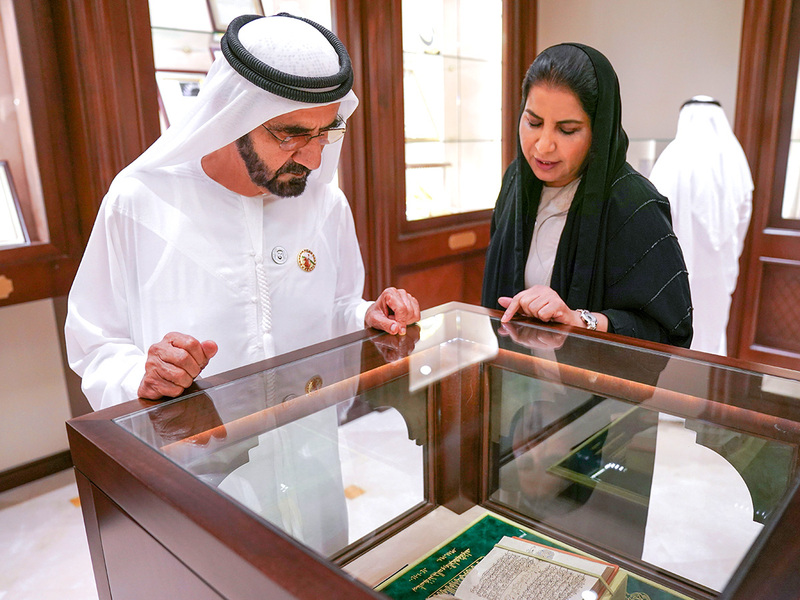 “The national initiatives and policies of Emirati women come to a new stage after we have provided tools for empowering women over the past decade,” said Shaikh Mohammad. Within the framework of legislation and policies, the Cabinet has advised studying increasing the involvement of women in judicial work at the level of federal courts in the country. The legislative package also included a proposal to issue the Federal Law on Combating Domestic Violence, in compliance with the Cabinet’s decision to adopt mechanisms to implement the Human Rights Action Plan, which recommends the drafting of a law on domestic violence against women and children. In addition, the focus of policies and legislation included examining a set of incentives to increase the participation of women in the business sector, including the development of the national policy on entrepreneurship for Emirati women, which provides special facilities for the licensing of entrepreneurship and women’s entrepreneurship, and employment visas to encourage the launch of private enterprises. The Cabinet mandated the Emirates Council for Gender Balance in coordination with the concerned government agencies to develop the policy of Emirati women’s participation in the labour market to benefit from the capabilities of non-working women and to address the challenges and reasons for not joining the labour market. The Cabinet also directed the study of the proposed “gender balance policy” aimed at promoting gender balance worldwide in cooperation with the International Monetary Fund to develop the best international standards and practices. In order to promote the participation of women in the field of advanced sciences, the Cabinet has developed a policy to promote the participation of Emirati women in the field of advanced sciences. In the service sector, the Cabinet directed the study of the provision of specialised pre-natal and post-natal care services for women, including post-natal care and follow-up services, and providing an electronic platform for post-partum mothers to provide information on the health and health of children after childbirth and at all levels of age. The umbrella of specialised health services for women is also extended to senior citizens, women of determination, and to facilitate access to treatment and health services in all emirates through nursing services and home-care providers. In addition a study was advised on the provision of family counselling and mental health services for women in all stages of life through primary care centres and health facilities. As a culmination of the UAE’s multiple successes in promoting the participation of influential UAE women at the diplomatic level and in the international community and its organisations, the Cabinet has instructed the study of raising the percentage of ambassadors in the diplomatic corps and external representation within the state missions. This includes more initiatives that stimulate the participation of Emirati women and their impact regionally and internationally. Initiatives include the recruitment of gender equality ambassadors at the United Nations, an initiative that highlights the UAE’s experience and government efforts to promote women’s status and achieve gender equality in all areas of employment. International representation initiatives also include the study of appointing ambassadors for peace through the official mandate of the United Nations (Women in Peacekeeping Operations) programme and a proposal to involve Emirati women in international peacekeeping missions. The Cabinet has also set up an international media observatory to highlight the successes of UAE women in the foreign media, led by the Emirates Council for Gender Balance and efforts of the concerned national institutions. The Cabinet also adopted the formation of the Coordinating Council for Family Policies to provide all the foundations of quality of life for the nucleus of the UAE society and achieve the required integration in the development and implementation of family policies and projects in the country.